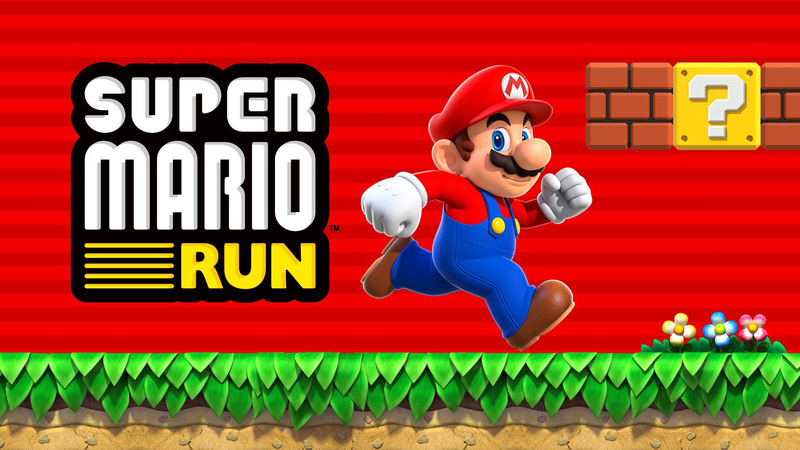 Super Mario Run has been available on iOS for quite some time now, but Android users have had to endure quite a painful wait for the Italian plumber's debut smartphone adventure. An Android launch window of March was confirmed some time ago, but the majority of the month has passed without any confirmed release date - until now, that is. Are you an Android user who has been waiting for this moment? Let us know with a comment. Better yet, version 2.0 with new characters is being released on iOS! To those wanting to know if it's worth it, it's a great and surprisingly deep amount of content. It's a great game at a good price. You just keep hitting those freaking homeruns, Nintendo. Zero Day instant double purchase. Any word on a switch port? I already got bored with FE:Heroes. I probably would've wanted to pay a few weeks/months back. But now ? Playing FE: Heroes served only to force me into buying FE: Fates since the limits of Heroes bored me VERY quickly. I can only assume Super Mario Run would make me desperately want to play another 2D Mario game. Also, with the Switch out now, I'll feel like an idiot buying a $10 mobile game when I could get a Switch indie title for that much. Bad timing for me, but hopefully others who still want it will be pleased! For me? Not likely, barring an eventual sale (which knowing Nintendo, yeah right....). This is precisely why something like the Switch was needed. This is what mobile gaming has been...$10 for a runner. And I'm sure it will get tens of millions more downloads. @MarioPhD Yeah, you'd have been far better off investing that money in something like Shovel Knight: Treasure Trove on Switch, imo. To be honest, I've lost most of my hype for this game from waiting for it to appear on Android. I'll download it and try the free levels, but I'm not sure that I'll buy the full game. I'll do the free portion, but I'd rather use that $10 for something on the Switch instead so I think I'll pass on the payed portion unless I get a lot of Google Rewards surveys in the not too distant future. @Dakt It released on iOS months ago with the promise of "soon" for Android. @impurekind Already made that investment! @Grawlog Agreed, but conversely, I'm much less likely to invest in any of their other games on mobile, so I'm not sure how much it benefits them since I would have bought the games on their consoles anyway. I want this but reluctant to pay £10 for a mobile phone game. As Nintendo has mentioned the goal of making this game is more for brand awareness than making a simple killing. Though I'm sure they wouldn't balk at it if things had happened that way. it's creepy this will be out for android before any Mario game on the switch.. Since I can't have my Switch with me at ALL times, I will be getting this. @ironside1911 You won't need to buy it again, if you connected the game to a Nintendo Account. Hope y'all enjoy it. I lost interest after a couple of days and haven't touched it in months. Its annoying to have had to wait this long just to get the game on android and a lot of the excitement i had for it has gone. It may seem petty but i really hope that few people buy it just to teach Nintendo not to do this split release again. Poor move to give this to IOS users for 3 months in advance. They've given the game such a negative perception and maybe for a good reason, but I don't even want to try it and have made up my mind it's not worth$10. Would have been a day one purchase. I hope Apple paid you really well. It is about darn time! Can't wait to play this on my Android tablet! I'm excited for it. I do wish they wouldn't have done that stupid 3-month exclusive deal with Apple because all the buzz is gone. However, a few of my close friends have it and it'll be fun to compare scores and whatnot with them, finally. Any word on system requirements like the OS snack name? I hope Nintendo does a better job of announcing up front that's it's $9.99. They would have been much better off on iOS with a free "demo" or "lite" version and then a $9.99 game, no surprises that way. EFIT: Both my Samsung Galaxy Tab 4 7" tablet and my Samsung Galaxy Core Prime phone say the game is not compatible. The tablet is 2015 and the phone is 2016, not exactly old hardware. "I really hope that few people buy it." And 3DS version of Mario platformer games too. Which Russia will get very soon and Belarus... maybe someday? :V No kidding, even Fire Emblem Heroes is still inaccessible here. 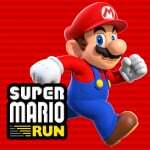 I love Super Mario Run on my iPad - now excited to get it on my Xperia Z5! @ThePoochyKid: Amen, brother. This game sucked me in and is now one of my favorite Mario games. Between the kingdom building, getting all the colored coins, and Toad Battle, it sucked me in for a good 50+ hours. Long live parkour Mario! There's too much "boo hoo and wah wah" on here. Just enjoy the game, it's good. If you don't like it, don't play it. Some people are opinionated just to be opinionated. What has happened to this site? @Mainer82 When a game has legitimate flaws (lookin' at Star Fox), I have no problem with venting. This, on the other hand, seems like a solid game that just doesn't appeal to some people. The amount of venom spewed about it makes no sense. It was never intended to be the next BOTW. I already signed up for the notifications. Could be a nice time killer at work. @remlapgamer Borderlands Legends, XCOM, 2k sports, Civ Revolution, and about 100 other mobile games all came out on iOS first. Its how mobile gaming has been working for the last decade. I'll buy it eventually during a sale (I imagine Christmas time will be the first), but considering I've bought dozens of games on Android for significantly less than $10 and have enjoyed them for many hours, I'll pass on paying that for Nintendo brand recognition when some have said it's only worth a few hours of your time. That's refreshing to hear that other games have also been coming out on iOS also for quite some time. It's obvious I'm not a prominent mobile gamer. That does give me a positive outlook on Nintendo taking their actions. They lost a sale on me. Not because I'm disgruntled or anything, but simply because they dragged thier feet soooooo long to get it to the google play store. I would have impulse bought but now the hype is gone and I'm not too interested anymore. So. When is it coming to Switch? It's a decent game though, and tou can still try the first levels for free. Nintendo didn't exactly drag their feet, they just had a three month exclusivity deal with Apple. I'll be trying the free version for sure. I'm put off paying for it because of the "always on" internet policy... most games on my mobile are played while I wait around for public transport etc & often no free wifi... but if I really love it and feel it's worth playing at home or in hotels then I'll pick it up. Is there like a free level? I'll play that if there is but I have better things to spend £8 on than a mobile game. EDIT: Reading the Play Store listing reveals I can play a small amount free. @MAGGOT_MOD Does your source has perhaps any info on the upcoming Fifa 2018: GO? Edit: Since you edited your posting, could you ask your source whether the price for the switch will be lowered before or after june? I put my money on before ...but let me know. Btw. Anyone else has framerate issues with Othello on switch? It was fine, but since today, cant get passed 18 fps. Wish it would have came out before the Switch. I'll download, not sure if I'll buy yet. I'm occupied with the Switch. I might check this game out if I get bored of Fire Emblem Heroes! Of course you did and any regular mod can verify, but lets say you didnt. You think Othello is a pathetic game? I will let them know... another Nintendo hater. Theres the Switch, and all you do is tell everyone how bad the games are. OK I agree, they are bad, but not thaaaaat bad, okkkk? They really are a rip off, I give you that, still .. have some faith, please. You said and edited your post that the switch is the worst console launch ever? Well, thats your opinion and I guess everyone has one. Why you hate Nintendo so much? Why you make fun of the switch? You think putting Mario in Fifa will make it a proper port? Ok, if they could include Mario as a referee, Punch Out style, Im sure it would sell so much. Anyway, I also let EA know that switch users would prefer Mario instead of a cheap GO port. Talk about missing the boat... Nintendo is going to look at the dismal sales of the Android port and decide they were right to deprioritize it, and are going to forget that $10 is about five times the average cost of a mobile game and that most people (particularly Android cheapskates like me) would only think of paying that much for a brand new game. @MAGGOT_MOD Alright you need to stop with this, you're only getting one warning from me. They probably couldn't because of the three month exclusivity with Apple, but it should have launched March 10th. Mario Day only comes but once a year! That said, I will be picking this up!